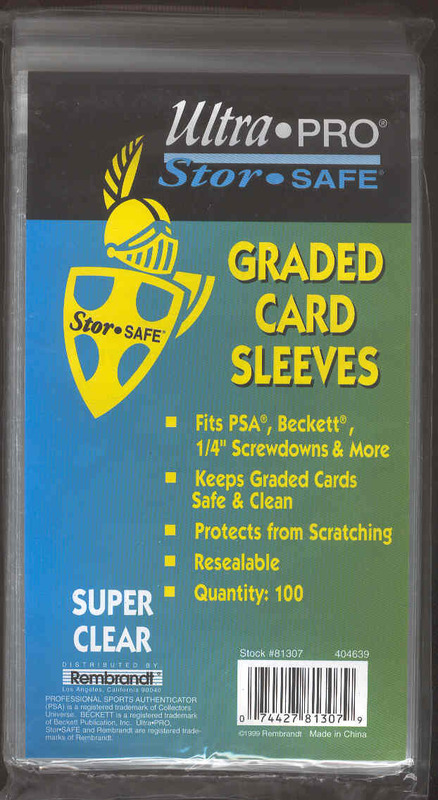 Kevin Savage Cards is pleased to make available for sale 5 unopened packs of the Ultra Pro Resealable Graded Card Sleeves. Each unopened pack contains 100 resealable sleeves capable of holding a professionally graded card! Protect your valuable assets from scratching! !